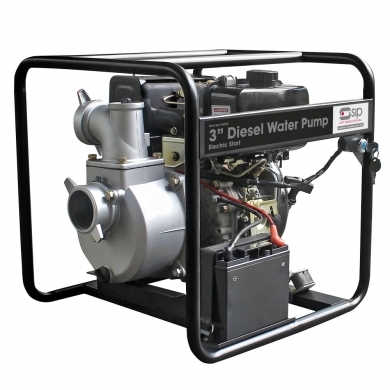 Run by a high quality diesel engine with a 5hp motor this water pump has the ability to pump 1000 litres per minute. With a 26m maximum pumping head and 6m maximum suction head. Designed with a tough cast iron impeller and volute housing this water pump has been designed to give a long life, even in the toughest conditions. Featuring electric start which means starting this engine is quick and easy with no effort!